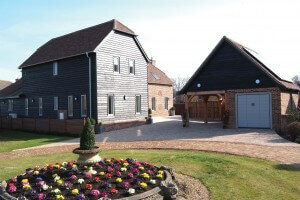 Potton’s Build a Barn project is now in its final phase with the Barn due to open to the public from the 8th May. The underfloor heating has already been installed on the first floor using Nu-Heat’s Cliptrack, and the insulation has been laid on the ground floor ready for the tube to be installed, which will take 2-3 days. Nu-Heat Field Sales Manager, Brian Woodcock, will be on hand at the barn to talk about our underfloor heating from Tuesday 8th to Friday 11th May. Information about the progress of the build can be found at www.buildapottonbarn.co.uk. Alternatively click here to see the latest video update from Potton’s Project Manager, Brent Ackerman.